Bonded by a sense of guilt, rooted in their respective Catholic upbringings, a creative collaboration between American artist and performer Jarboe and Italian occult duo Father Murphy seems only natural. Approaching the EP, both Jarboe and Father Murphy each wrote a song, which they exchanged for the other to finalise. The final product was mastered by Davide Cristiani at Bombanella soundscapes studio in Italy, using a technique he calls “anti-mastering” whereby he irradiates the analogue master with deep, pure 432hz sounds. The resulting two-song, ten-minute opus is a starkly profound and densely rich soundscape of crystal clear clarity. ‘The Ferryman’ is sombre and sparse with deeply religious overtones, while ‘Truth or Consequences’ builds on a sense of creeping dread, with slow and deliberately played piano and sinister feedback, the addition of an organ feeds into the theme of religion running through this release. Hugely atmospheric and completely concise in what it’s conveying, Jarboe and Father Murphy create intense atmospheres using the bare minimum. The instrumentals are so understated and the production so pristine that every sound feels enormous, adding a larger than life quality to Jarboe’s already haunting vocals. This EP makes for an uncomfortable listen at points, especially towards the latter half of the second song, however, this is testament to the musical capabilities of both parties involved. The pairing have managed to create so much in just two songs and their contributions work together so fluidly that it feels as though this is a single creative mind at work opposed to two separate musical entities. A truly compelling listen. Something dark wanders this way. Incoming and set to coincide with a joint European tour, a new 10 inch, upon its grooves the unified might of Jarboe and Father Murphy. Here be a trailer of what to expect. Shrouded in a shadowy spectral stateliness that’s soothed and sprayed in a spiritual resonance, with a hymnal aura immediately to its opposite, a foreboding chill sets itself across a warring field, the sounds cut from a primitive tongue, ring to a deathly apocalyptic dance whose graven groan chimes to the archaic artistry of both Preterite and the Hare and the Moon. American artist and performer Jarboe and Italian occult duo Father Murphy release their collaborative EP today through Consouling Sounds, and commence their tour with a record release show in Belgium. Jarboe and Father Murphy’s connection runs deep. Jarboe continues to have a profound influence on Father Murphy’s musical path, and there is a strong, mutual understanding of what they define as a “sense of guilt”, rooted in their Catholic upbringing, which informs their music, both together and independently. Approaching the EP, both Jarboe and Father Murphy each wrote a song, which they exchanged for the other to finalise, the result being a rich reflection of the spirit of both artists, and their meaningful bond. The Jarboe & Father Murphy EP was mastered by an infamous engineer, Davide Cristiani at Bombanella soundscapes studio in Italy, using a technique he calls “anti-mastering” whereby he irradiates the analogue master with deep, pure 432hz sounds in a process that somehow gives the master the same benefits than a defragmentation does to a hard disk. It works the sounds together in harmony, the result being much brighter and more real, which is very befitting to the release. 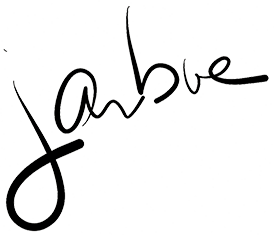 Jarboe has been known for her numerous and diverse collaborations. The former Swans member has gone to perform with an impressive array of musicians, ranging from post-metal legends Neurosis, industrial mastermind Justin Broadrick, to experimental cellist Helen Money, and has also appeared as a guest in the works of Puscifer, Lustmord, A Perfect Circle and Oxbow among many more. For her latest collaboration, coming out of Consouling Records, Jarboe works with Italian experimental, noise rock entity Father Murphy. With a sound that is not easy to describe, encompassing elements from art rock to harsh noise, Father Murphy has been steadily perfecting their craft. Starting off with their self-titled debut record in 2004, the band has been in a path of improvement and rejuvenation, that led to the excellent Croce, which came out in 2015 through The Flenser. Elements of psychedelia and minimal music found side by side with industrial notions and experimental endeavors, projecting an excellent work of forward thinking music. The interesting aspect of this collaboration is exactly that. The manner in which Jarboe and Father Murphy worked on the music. The two artists separately begun working on one track each, and once the track was formed, it was passed on to the other artist to finish it off and complete the work. As a result, the tracks retain the identity of each performer, while at the same time forming a cohesive narrative. The core attribute of this work is the mesmerizing feeling that overwhelms the soundscapes. The use of repetition manages to create that hypnotic dirge, which slowly unfolds in the second track of the album “Truth or Consequences.” The artists dive into the sonic experimentation, unafraid to use elements that come with a sharper edge and create a more tense environment. This comes into contradiction with the more laid back and reserved ambiance present in “The Ferryman,” which features a folkier element. The background in both cases is very important in the construction of this sonic illusion, acting as the mediator between the noise and the melodic aspects of the music. The opening track features a single guitar, mournfully strumming, which perfectly sets the tone with its repetitive progression. While the guitar acts as a force to establish the scenery, the piano in “Truth or Consequences” provides the only moments of solace from the darkness, something that is rebalanced when the organ swoops in to make everything dimmer. Jarboe’s vocal delivery is the constant force that builds the bridge between all the different moods of this EP. Moving between ethereal deliveries and mantra-like repetitions, the performance is the factor that awakens this underlying primal ritualism lying at the core of the record. Through the short duration of this EP, Father Murphy and Jarboe achieve in creating an alluring and mesmerizing offering, implementing experimental methods and dense atmospheres in completing this task. The experience is well laid-out, but shorter than it would be appropriate. Not fun when the hook is in to then let you go so easily.